Another chapter in the Father Reginald Lafleur saga has been written. 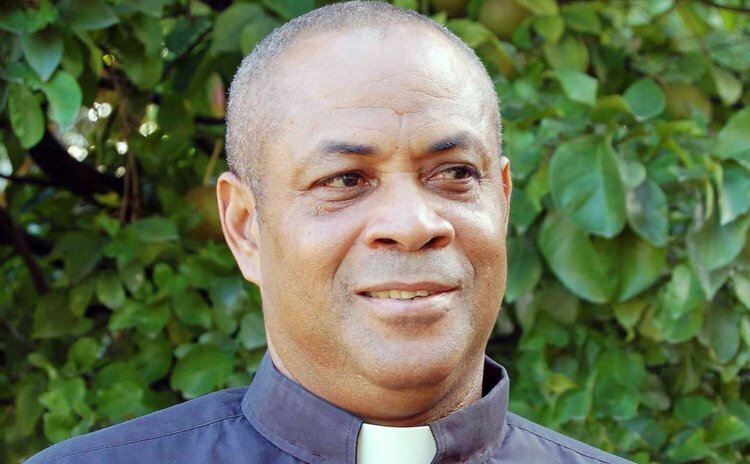 In a statement released on Friday, Bishop Gabriel Malzaire revealed that Rome has been asked to step-in because the church in Roseau cannot deal with the issue. Bishop Malzaire said: "The situation regarding Monsignor Reginald Lafleur and the allegations of sexual abuse of a minor has caused much pain to everyone let alone the accused and the alleged victim. "The Diocesan Review Board which has been looking into the matter for practically a year now has concluded that the case is beyond our competence and, therefore, according to the laws of the Church, needs to be referred to the Congregation of the Doctrine of Faith, the office in Rome which deals with those matters for a decision. "In the meantime Monsignor Reginald Lafleur remains on administrative leave until we receive a decision from Rome". Bishop Malzaire continued: "Consequently, I have appointed Monsignor William Jno Lewis as acting Parish Priest of the Parish of St. Patrick for the period. Therefore, I solicit the prayerful support and cooperation of the parishioners of St. Patrick to help build the parish in a way that God desires. Let us continue to pray for Monsignor Reginald Lafleur and the alleged victim and the entire diocese in this special time of need. We pray also for patience and Devine guidance towards a just resolution to this issue." The issue gained national attention in June when Catholics of Grand Bay, with bugles, drums and placards protested the removal of Parish Priest Father Lafleur from active service at the Grand Bay church. Bishop Gabriel Malzaire had apparently acted on a complaint of sexual abuse of a girl of 12 years old, an incident that allegedly occurred about 19 years ago. Instead of supporting the Bishop who apparently initiated an investigation into the matter, the people of Grand Bay declared that their beloved priest was innocent and claimed he was wrongly accused. But based on a series of letters the accuser wrote to Bishop Malzaire it appears that the leadership of the church gave some level of credence to the accuser's story and the process of investigation and healing had already began. But she too was disappointed with the church's response. According to a letter dated March 21, 2013, and titled Urgent Situation Update the accuser requested "a copy of the "perpetrator's testimony" for my preparation for future initiatives". She also accused the church of "total injustice to me as a victim who was urged by international appeal to come forward with this dark and dastardly episode". And she claimed that "it was my innocent belief that the church was serious about the cleaning of the closet of these horrendous skeletons but I am now freaked into serious doubts. The perpetrator was issued a copy of my testimony for months in order to facilitate his defence whilst I am yet to see what his version of the story is. This is in direct contravention of fair play and due process. I am the victim here but I am willing to admit that the burden of proof rest with me especially since this episode has occurred nineteen years ago. Therefore, I am offering myself to be polygraph on this matter once the perpetrator also subjects himself to polygraph testing to this accusation". She continued: "We must both put our credibility to the test rather than him conceal himself behind veils of social barriers whilst continuing to further destroy what is left of me, in my reputation and sanity. The reticence of the institution on this matter must be serving as support to him in bolstering his position and decision to continue his neurotic denial. "I felt betrayed, abandoned and disappointed. I now recognize the problem as one not of evil individuals but an evil system and institution for it is the institution that urged victims to come forth and it is the same institution that is ensuring that prevailing conditions retard the process of reconciliation and recovery". Facing accusations from both victim and the Church Community in Grand Bay, Bishop Malzaire and other church leaders were apparently dealing with a much more complex issue of alleged sexual misconduct by one of their own than the public had been aware. While the Grand Bay Community continued to claim that it was being frustrated over the decision to have their parish priest placed on administrative leave over allegations of alleged sexual abuse and misconduct, Bishop Malzaire continued to ask Catholics to "be patient and pray." A letter to Bishop Malzaire dated August 20, 2013, from the Committee charged with overseeing the administration of the parish in the absence of the Parish Priest, states in part, "Our faith in his (Fr. LaFleur) innocence stems from the fact that you and your Review Board have not proved any evidence on which to reprimand him but continue to instill pain and character deformation. "As a Church Committee, we remain very disappointed that these investigations have not yet been concluded after almost a year and we propose that you take steps to expedite the matter within the next two weeks. We remain confident, that our Parish Priest will be completely exonerated and will return at the soonest to continue in the service of the Lord and his parishioners. We continue to stand resolute in defense of Monsignor La Fleur and his reputation," the letter stated. However, in his response dated September 9, 2013, Bishop Malzaire explained that his visit to the parish on Sunday June 9, 2013 was meant to celebrate the liturgy with the parishioners and to share with them what he regarded as "very sad news for the parish; news which be received in a reflective spirit and a disposition of prayer for a positive outcome to the ongoing investigations". But instead, he stated, the entire parish seemed to have been incensed about the Bishop's action. "While I commend the love and support you and the entire parish have demonstrated towards Msgr. La Fleur, I wish to remind you that my action in this matter is being guided by the rules of the Church which I serve as Bishop and refusal to do so could be a greater injustice with untold consequences. We are all familiar with the happenings in the international world in that regard. Therefore, the Bishop is duty bound to take seriously every allegations of sexual abuse of minors that is brought to him," he said. He continued, "You will recall my utter reluctance at my meeting with the Parish Council on June 9, 2013 to agree on a time limit to the investigations. Experiences in other diocese have indicated that these matters take time. The agreement was that if a verdict was not achieved in one month, more time would be taken. I wish to add here that contrary to reports in the media and from parishioners, no mention was made by me of reinstatement in one month. How could I ever have said this when I don't know the outcome of the investigations?" He said that it should be borne in mind that such situations pertaining to priests in a diocese are the responsibility of the Bishop. "That being so, I must remind you that you are taking up a cause that does not belong to you. You seem to have appointed yourselves as judge, jury and executioner in this matter. I am working with a Review Board and awaiting its guidance as it pertains to the results of the investigations." "I therefore strongly encourage you to desist from these continued threats of protest. You are only bringing harm to God's people in the parish of St. Patrick and the Diocese as a whole. I ask you to do the right thing as a Church Committee, to work with the Episcopal Vicar of your vicariate and the visiting priest who assist him to unite the parishioners in prayer so that as we move forward the parish can return to normalcy. Continue to pray for your Parish Priest that a just verdict will be reached as soon as possible," Bishop Malzaire stated. However, Armour Thomas a member of the group responded chiding the Bishop on the manner he has so far dealt with the matter. "Bishop, if the matter before you was dealt by you with the merit the situation would not have been what it is today. The truth of the matter which surrounds the situation is in black and white and is available. I only wish that they are concealed and remain confidential for the preservation of the Diocese. You had too many players involved in the case resulting in dictatorial situations which caused it to escape from your hands creating such embarrassments to you," Thomas wrote.